Getting people to swing by a real estate blog is the easy part. Getting them to hang around is what is challenging. With that in mind, it is up to professionals to find creative, effective means to generate solid content and an attractive website. If this sounds difficult, there is hope. A number of quality tips and tricks exist for real estate agents who want to create a great blog, from ideas with layout and design to topics. Most importantly, it is worth remembering that a poorly-formatted site will actually work against a professional, and even drive potential users running in the other direction. 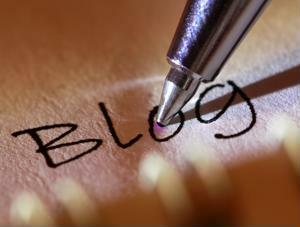 Therefore, here are some suggestions to get a real estate blog off the ground. Regardless of what website is chosen to host the blog, the layout and design really make a difference. Laura Monroe, a contributor to Inman News, wrote that there are a number of options available to those both on a time crunch and a budget. To get started, Monroe advised agents to decide whether or not the site is going to be mobile-responsive. The smart answer here is yes. Today's consumers live on devices like a smartphone or tablet, and that means websites and social media strategies should be geared toward this audience. These site-design solutions can be complicated, though, so going this route may require some additional help from professionals. In addition, a theme should be created with widgets and social media in mind, according to Monroe. No blog is complete without links to other sites, and these tools provide users an easy way to hop back and forth. A number of designs have these options built-in, so it is just a matter of customization before everything is ready to go. Before crafting great content, real estate agents should gather as much valuable information as possible. Once, this meant timely trips to the local courthouse to dig through stacks of documents. Not today, with Courthouse Retrieval System's easy access to countless mortgage records, property data and much more. Finding that perfect audience can be tricky, especially for a real estate agent with a wide range of potential clients. A blog is an ideal way to get that process started, but it requires some finesse to pull it all together. According to the Real Estate Tomato blog, that begins with fantastic headlines. This is what readers will see first, and an attention-grabbing one will be what brings them in. But, once they are there, they need to have something that encourages them to hand around. That is where the copy comes in, coupled with pictures, videos and links. Most importantly, paragraphs should be short and sweet. Blog posting is different than traditional forms of writing, and longer blocks of text can make readers skip ahead. Moreover, real estate agents should get to the point with their blogs, the news source noted. Visitors want instant gratification, so droning on for paragraphs on a subject that isn't part of the topic is a waste of time. Instead, short and sweet is best, in order to demonstrate value quickly.